I&apos;m the first to admit, dying your hair is so much fun—especially these days where rainbow-colored hair hues are the norm. But, it also takes a lot of work to maintain your locks after you get them dyed. In fact, I had no idea the upkeep would take so much time, effort and $$$. But alas, it&apos;s worth it. 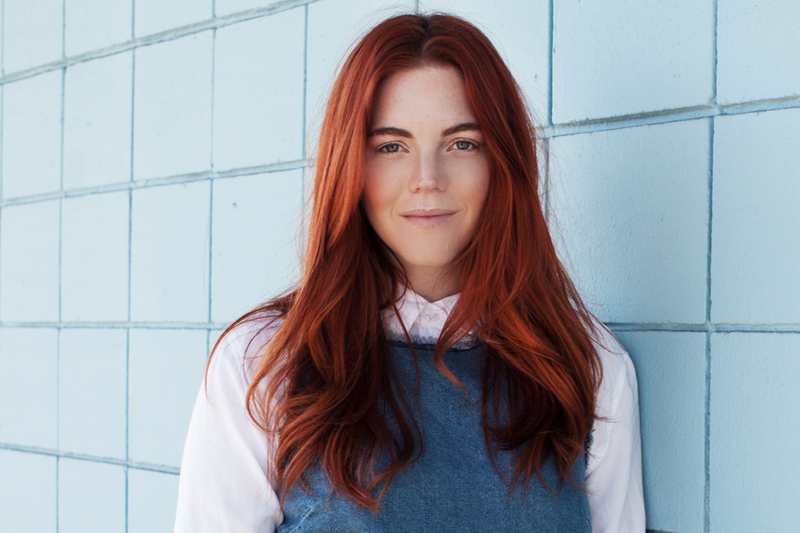 I am obsessed with my bright, copper-red hair, thanks to my beloved colorist Cassondra Kaeding at Sally Hershberger LA. After two years of tried and true maintenance, I&apos;ve figured out some major do&apos;s and don&apos;ts. If you&apos;re thinking about dying your hair, or recently switched up your color, I highly suggest you read this before you step in the shower! 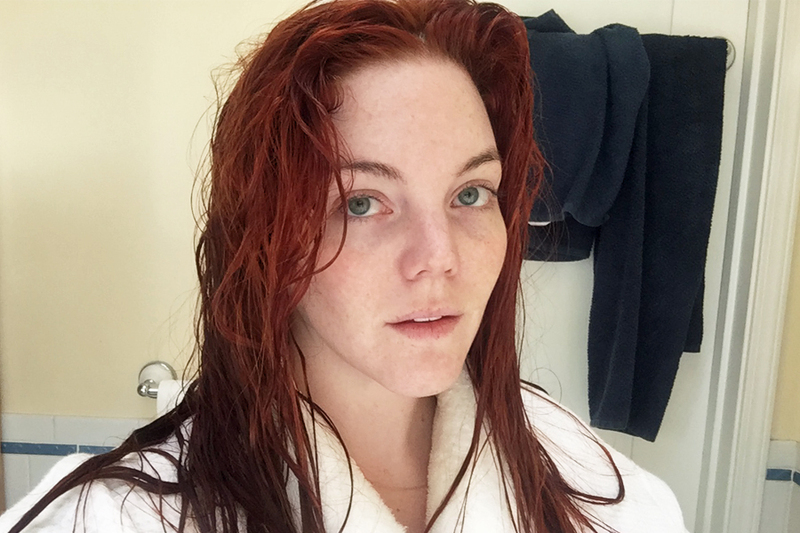 If you&apos;re anything like me, washing your hair can be such a pain, so I was happy to learn that washing my hair less preserved the life of my color. I try and wash my hair at the very most, three times per week. And sometimes, I skip shampoo all together and just rinse my hair and then condition to freshen it up. Not all shampoos are created equal! I learned this the hard way. I tend to think that everything is a marketing ploy to raise prices and make you buy things you don&apos;t need. But in this case, purchasing shampoo that is specifically designed for color-treated hair is an absolute must because they help extend the life of your color. This means you can go longer between salon visits or at-home dye kits. Also, using a shampoo free from sulfates is important because sulfates contain salt, which strip moisture and color from the hair. 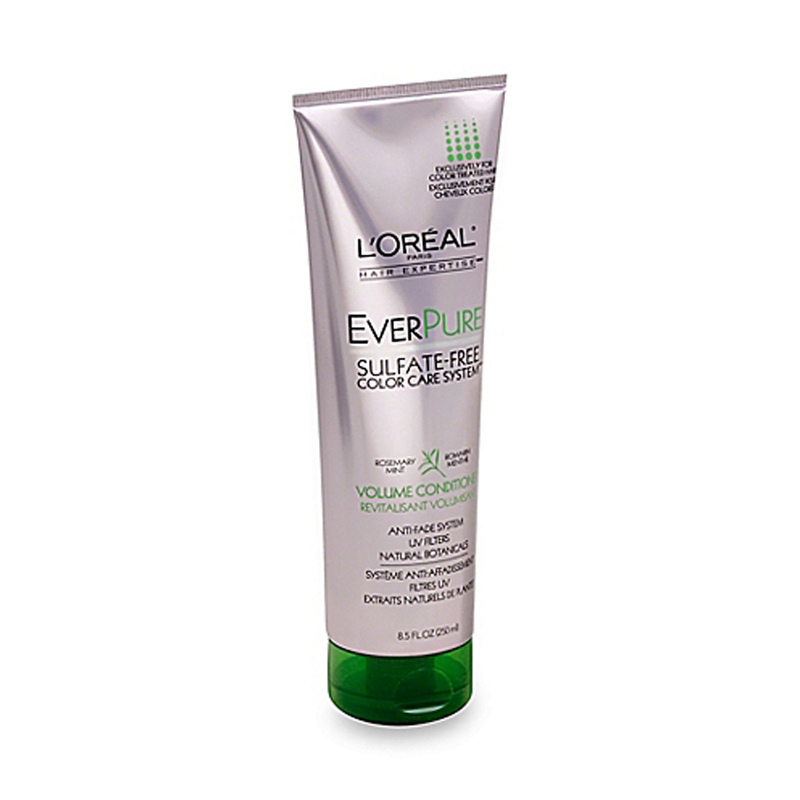 Try L&apos;Oreal Ever Pure! I swear by color-depositing shampoos and hair masks. 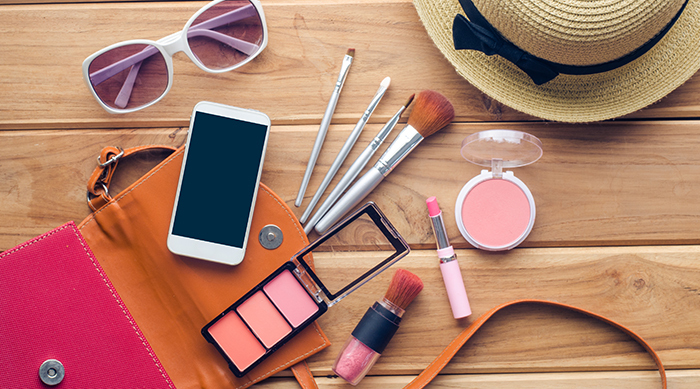 As a blogger, I am always traveling, and sometimes getting to the salon isn&apos;t an option. I started using e-Salon&apos;s color-depositing tint and hair mask about a year ago and it&apos;s saved me from having crazy orange ends more than a handful of times. Color-depositing products have color that they deposit onto your hair, and even though they ultimately wash out, they are a great short term fix and help extend the time between dye sessions. 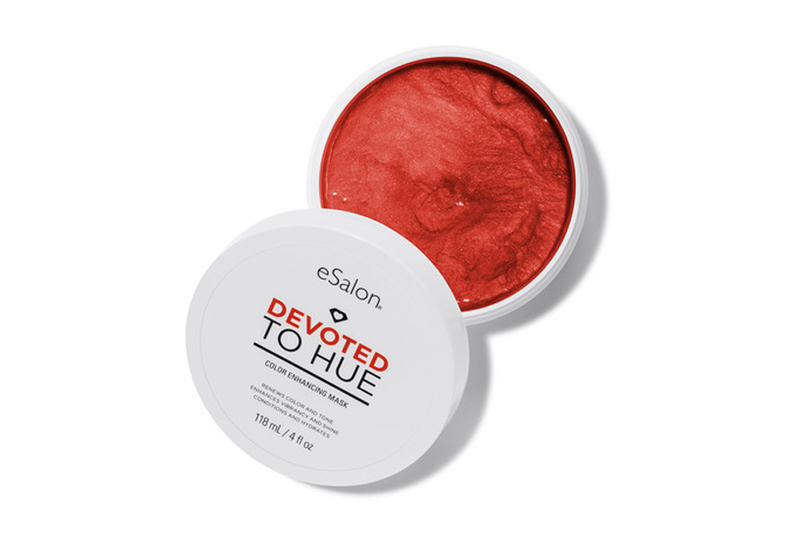 I swear by eSalon Devoted to Hue Color Enhancing Mask in Copper. 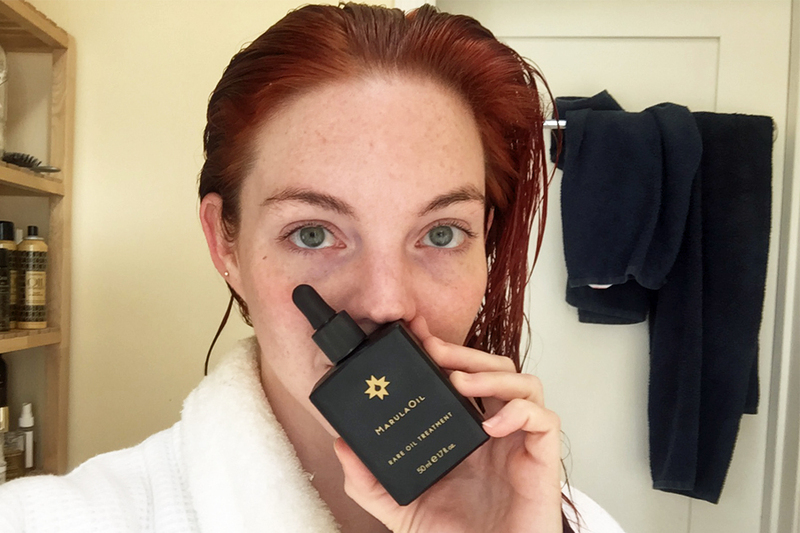 Cold and lukewarm showers are no fun, but they are crucial for maintaining your brilliant hair color. Hot water opens up the surface of the hair strand and allows the dye molecules to escape, which causes your color to fade faster. But, you don&apos;t have to take a cool shower the entire time, just switch the handle over when your washing and rinsing your locks. This sounds like a no-brainer, but make sure you are conditioning your hair with color-treated conditioners every time you shampoo. You also need to do a deep-conditioning hair mask once or twice a week to maintain the health of your hair. 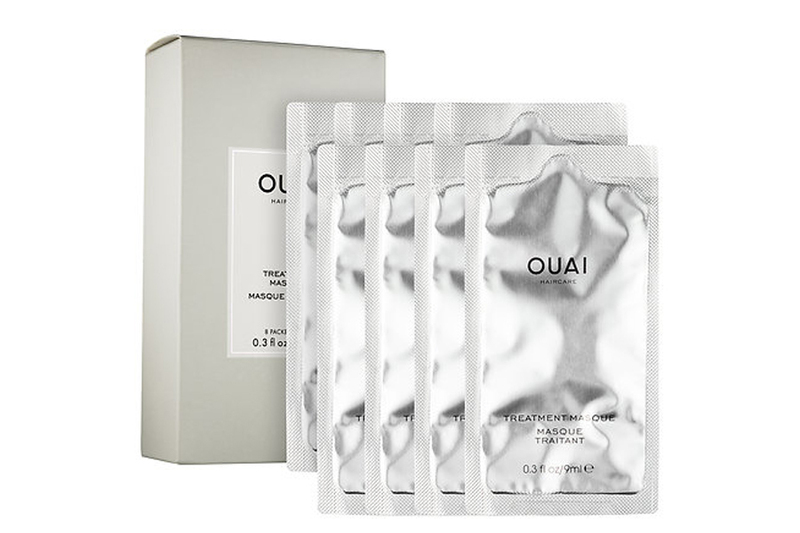 I prefer Ouai&apos;s Treatment Masque. On top of that, I suggest investing in a hydrating hair oil to use daily and after showering. 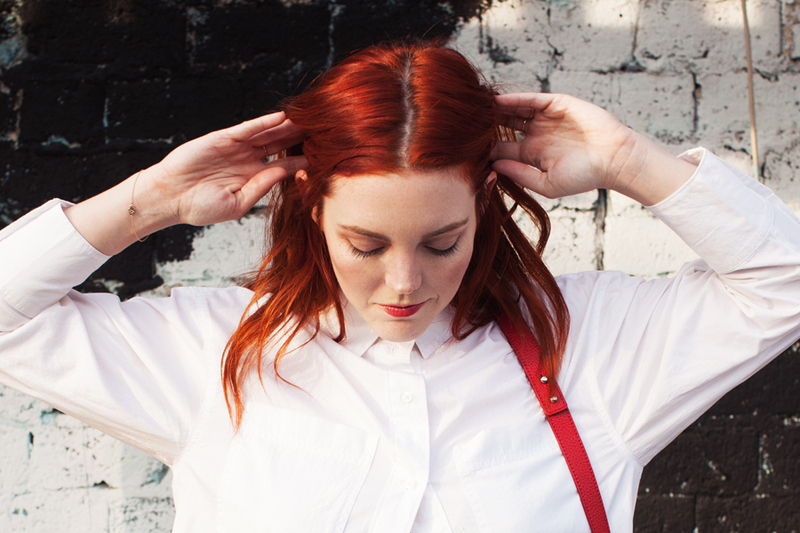 The healthier your hair is, the longer your color will last. I&apos;ve been loving Paul Mitchell&apos;s Rare Marula Oil as of late. Piggybacking off of my last sentence, the healthier your hair is, the longer your color will last. This means that regular hair trims are a must! I freak out every time a loose a nano-centimeter of hair, so this has been a hard one for my to swallow. But, I have noticed that the longer and dryer my ends are, the faster my color fades. Shout out to my hair stylist, Nicolas Flores at Sally Hershberger, who always keeps me in check and forces me to trim my ends! After you get your hair color done, wait at least two (but aim for three or four) days before washing your hair. You need to give your hair color time to set, so I try and avoid big workouts or long sweaty days outside right after I get my hair colored. The below photo is day three after a fresh dye job! Let&apos;s just say air drying has become my new BFF. I pick my battles now—if I know I want curly hair for an event or party, I make sure to let my hair dry naturally the night before so I don&apos;t feel guilty using my curling iron. Or, if I want a blowout, I&apos;ll lay off the curling iron for the rest of the week. It&apos;s these small tweaks and decisions that can really preserve the overall health of your hair. Also, use a heat protecting spray or cream. Nature can definitely take it&apos;s toll on colored hair. Just like the sun bleaches a sofa next to the window, the sun also fades your hair color, which is why I&apos;m always sporting a hat when I&apos;m outside. Also, I never even knew hair SPF existed, but it does, and it&apos;s great if you spend a lot of time outside playing sports. 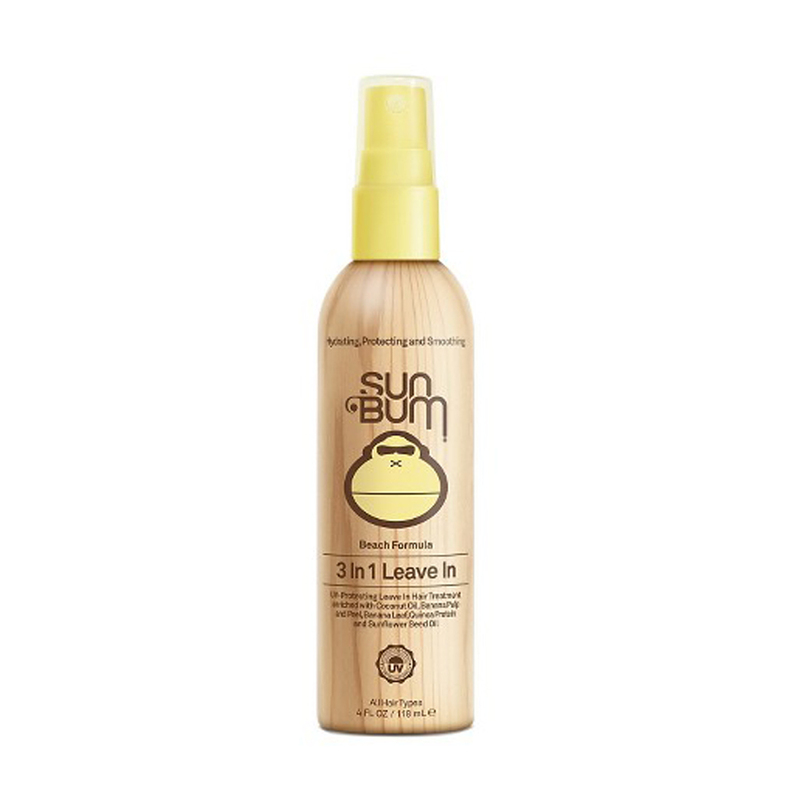 I use SunBum&apos;s UV-Protecting Leave-in Hair Conditioning Treatment. Also, salty ocean water (and chlorine) both fade and break down your color fast, so make sure you rinse right after you&apos;re in the water. Too much of a good thing can be a bad thing. 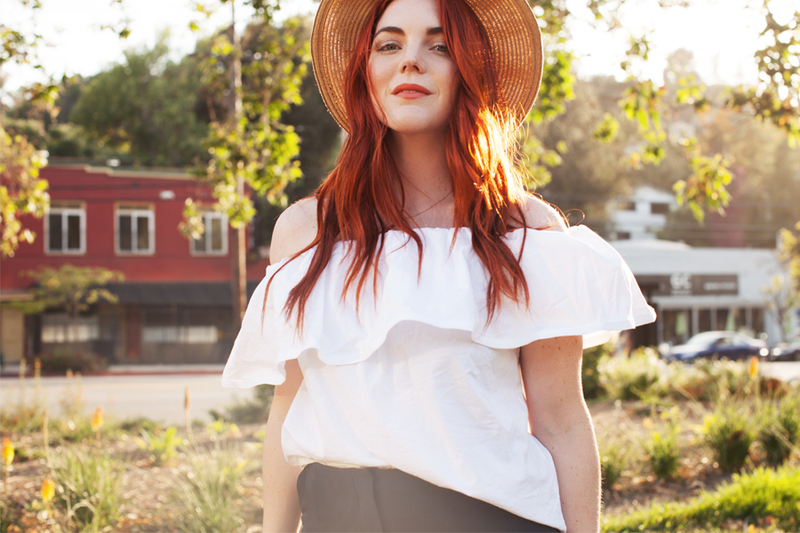 Get into a hair color rhythm or cycle, waiting at least five to six weeks in between color sessions. 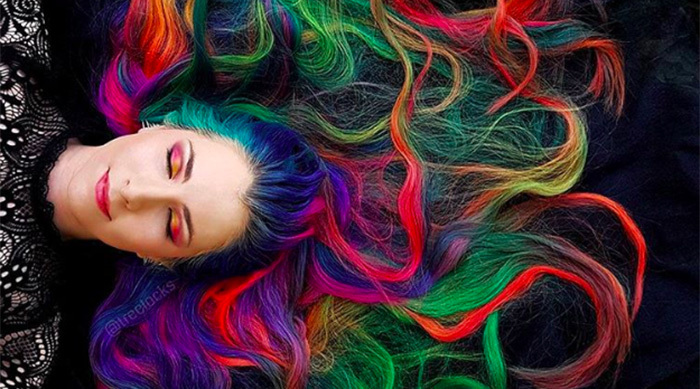 Coloring too often can damage the health of your hair. But, you also don&apos;t want to wait too long either. 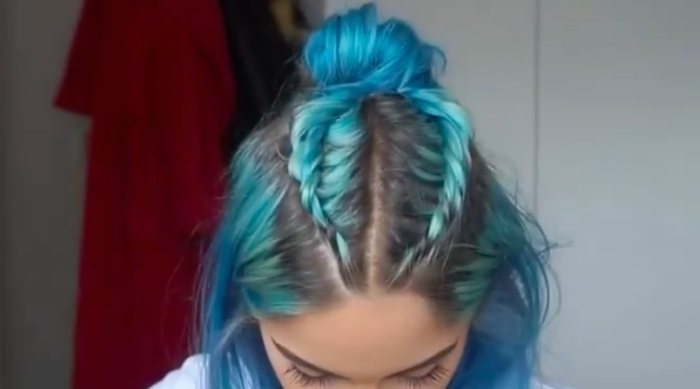 If you allow your color to grow out too far, you risk getting a banding look around your roots. I started tracking my appointments in my calendar so I could see what my sweet spot is. I go in for a refresh every six and a half weeks. The photo below is about three weeks after getting my color done, so you can see my natural roots start to peek out! While we&apos;re talking about healthy hair, HERE are some must-read tips from Katy Perry&apos;s hair stylist!